Does sanity have a chance to return? I finally made it through the final push of 90+ jumps to Luna's Shadow (aka, Waypoint 11). I have honestly never, ever pushed myself or my ship as hard as I have the last several days. And all because I was down for over three weeks. Hell, I'm not even a part of the Distant Worlds caravan, but here I am. Only 2% of the actually signed-up commanders have reached this far, and I'm not even counted among that number. 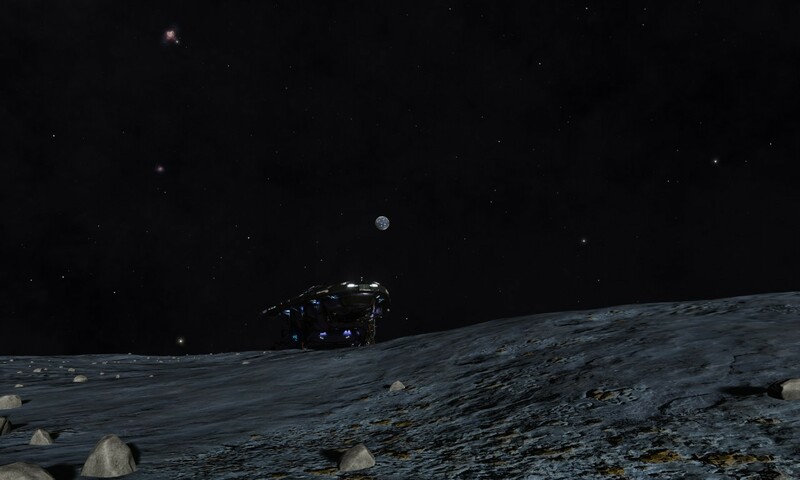 But, as I said before, I haven't been to Beagle Point, so that's what I'm gunning for. I've got to do some minor repairs on The Ceti Azeria, though. My stupid mistakes due to exhaustion have taken a toll on a number of the ship's systems, so once I'm all rested up I can get to work. We're parked near the supposed base camp on the moon around the third planet in the system. Although this is treated like a "twin" for our Earth and Moon, this planet is a water world and its moon has some decidedly different makeup than our Luna. Still, it's strangely familiar. Some good news...Milani is feeling better. She'll be able to help with repairs later, which is great. We'll need the Azeria in the best shape possible for this next leg. This will be another 14,000 ly push to reach Beagle Point, and the stars are getting more sparse. The succession of non-fuel stars just getting to Luna's Shadow was concerning. Thankfully, I had the good sense to add a fuel tank. And I have quite a bit of jumponium materials on board, so I could pull off a nearly 100ly jump without a Neutron star if I had to. The last thing I wanna do is have to make a distress call to the Fuel Rats. I love the amazing rescues they pull off...I just don't want to be one of then. I'm gonna have to be cautious spinning up ship systems as we test repairs. I don't need to draw undo attention since there is a group of gankers shadowing the DW2 fleet, just looking for defenseless ships to destroy. And this far out, any rescue would end me back up at Anchorage. 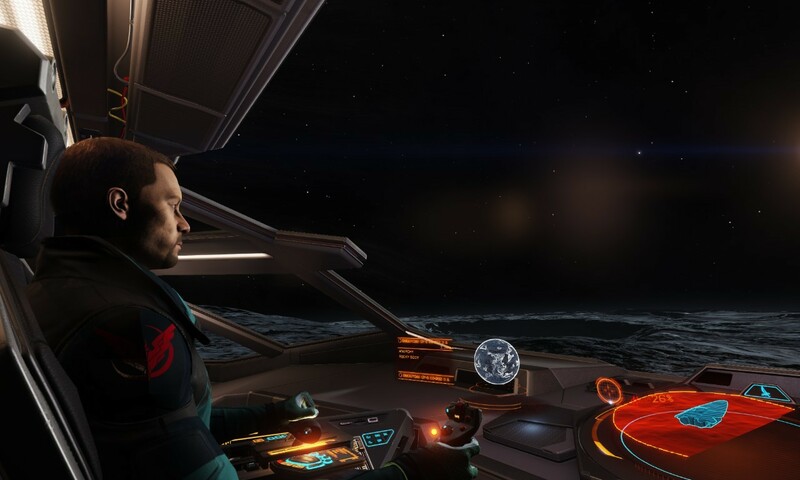 Someone tell me again why we don't have a station somewhere at Beagle Point?